I love “If I Needed You.” That’s one of his songs that really stands out. The melody and the simplicity and what the song says make it work. It sounds traditional, like an old folk song. Sometimes those are the ones that people identify with, because it sounds familiar even when you listen to it for the first time. There’s one song I wrote, “Jackson,” off Car Wheels on a Gravel Road, that’s probably one of the most closely influenced by Townes. In fact, when I recorded it, Steve Earle played guitar, and he said the way it was played was like a Townes kind of sound. You can certainly hear Townes in Steve’s music. Townes had his own way of playing and phrasing. I like his darker songs, too, like the one I covered on the Poet tribute album, “Nothin’.” I really buried myself in his songs when I was trying to pick one to play for that album. It gave me perspective on his writing because I just pored through tons of his CDs. The darkness and the mysteriousness of “Nothin’” drew me to it; I like songs that are dark and brave at the same time. “Tecumseh Valley” is a great one, of course, and “Pancho and Lefty.” Those are ones that people recognize. “Pancho and Lefty” is a brilliant song, and it tells a story full of wonderful imagery. 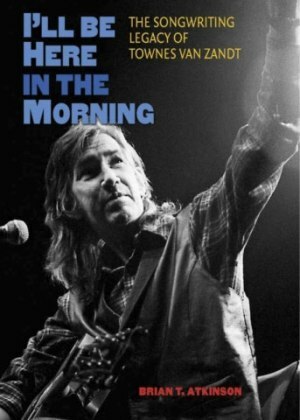 I met Townes in 1973 in Nashville. It was when I was first heading out on my own with my guitar and starting that whole thing. I met Townes briefly through some other people. Then I ended up later in Austin, and I would see him from time to time when I was there and living in Houston. When I first met him, I thought he was a really good-looking guy. He was very striking and very mysterious. I was quite intimidated by him. I’d known about him as a songwriter, and I think I discovered his music around 1971. The first album I heard was Delta Momma Blues (1971). I was pretty into him, pretty well versed in folk music and the whole singer-songwriter thing from the 1960s. I was definitely a fan of Townes’s music from the start, but I admired him more from afar. He was a tall, dark, mysterious figure, a great songwriter, and I was just a kid in his eyes, just a little girl with a guitar. I wasn’t on his level, so I don’t think he took me very seriously until sometime later. I never could really talk to him. He liked to talk in riddles. It’s kind of hard to explain what I mean by that; you had to be around him and know his personality. He was a very perceptive individual, very smart and witty and fun, but I always felt that he kept his guard up to some degree. He was always joking around. I think underneath that there was this tenderness and perception, but I never got to know that side of him. It was always cloaked behind his joking around. I wish I could have gotten to know him better. I knew Blaze Foley a little better because I was around him more often, but he was somewhat guarded, too. I think most people who drink a lot tend to be like that to some degree. So, Townes was always this elusive figure to me. He’d drift in and out of town. He’d show up and I’d see him out and see him play, but there was a distance, too. I was quite a bit younger and just getting started, and he was already a legend. We didn’t relate in the same way he and Guy Clark related, certainly––or even he and Steve Earle. There were other people he was much closer to. It was something of a boys’ club. Townes was a brilliant artist, and also somewhat self-destructive. When you put those things together, you’re not going to have the most consistent performances, but a lot of that was happening at a time when everybody was doing that anyway. A lot of people would get onstage and be stoned and drunk and whatever, and it sort of just went along with what was going on at the time. I don’t think anybody made a big deal about it at the time because we were all drinking and smoking pot and getting crazy. Townes just took it a step further. He was playing pretty regularly in Houston just before I got there around 1975 or 1976 at a place called Sand Mountain. By the time I got there, I think he was living in Nashville. When I was playing around Houston, Lyle Lovett and Nanci Griffith were just getting started. I was a peer of theirs, and we were playing in the same clubs at the same time. 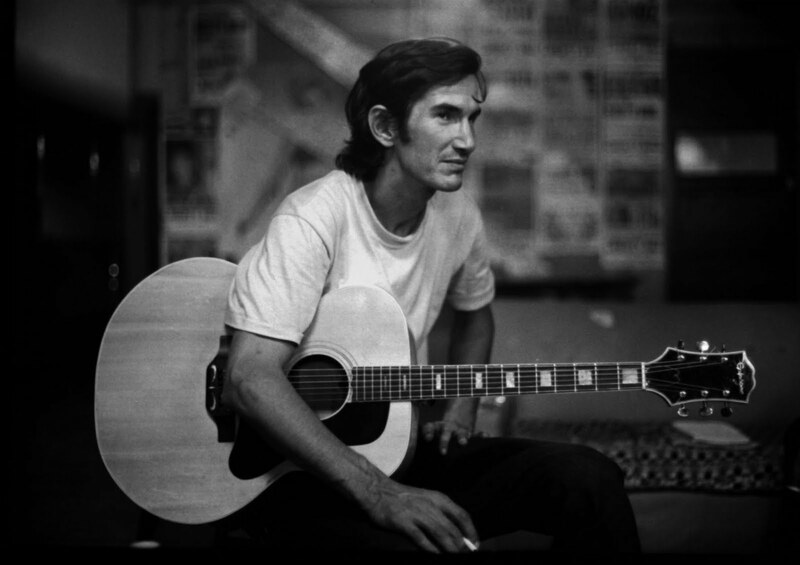 Townes was someone we all looked up to. Certainly more people know who Hank Williams is and Bob Dylan is than who Townes Van Zandt is. It shouldn’t be that way, but that’s unfortunately the way it is. It might take some time, but maybe over the years Townes’s legacy will build. If you go up to someone on the street and ask them if they know Dylan, they’ll say, “Yeah.” They won’t know Townes, unless they’ve paid attention over the years. After people die, their legacy grows, and that’s probably what’ll happen with Townes. I’ve seen that happen with Blaze Foley. The last time I saw Townes was in 1993 in Jack Clement’s studio. I was with this guy who’s a bass player that I was seeing at the time. Townes kind of picked up on something, and he was giving me a warning in his funny, self-effacing way, saying, “Watch out for this guy.” He said to the guy, “You better treat her right.” In his own way, he was protective and very sweet. He came to appreciate me as an artist. His love songs were very romantic, very beautiful. I loved [their] earthiness. He had an obvious sense of place. Oftentimes, he’d have references to different parts of the country, like his song “Snowin’ on Raton.” I’ve done that a lot in my writing. He wrote a lot about cities and towns and rivers, and he used a lot of that imagery. When you heard Townes, you knew it was him. He had a way of writing very simply and sparingly, and yet being very evocative and effective. That’s one of the things I’ve strived to do over the years in my writing.